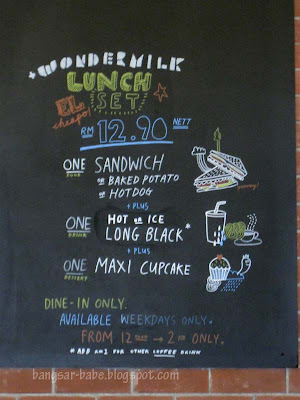 Besides their pretty cupcakes, +wondermilk also does lunch sets from 12noon till 2pm. The deal is pretty good — you get a choice of sandwich, baked potato or hotdog with a long black and a cupcake. 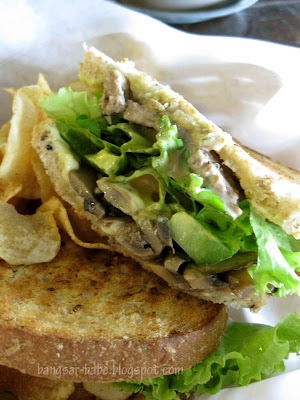 rif ordered the Mr Beefsteak, a roast beef sandwich which came on two slices of toasted bread, topped with lettuce, tomatoes, cheese and onion slices. The beef was thinly cut, nicely seasoned and flavourful. 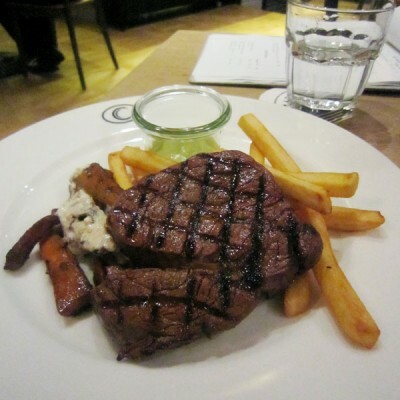 It was tender and juicy enough, complemented by the sautéed mushrooms, cheese and crunchy vegetables. 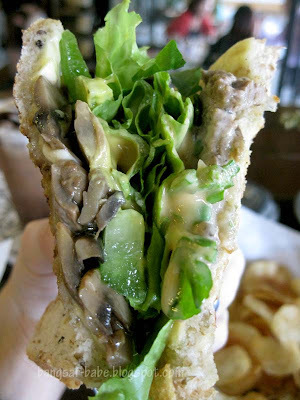 The beef juice moistened the inside of the bread nicely, while the outer crust remained crunchy. Pretty decent, but I wished there was more beef in the sandwich. 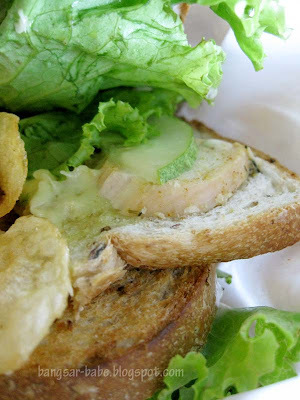 I had the honey mustard chicken and swapped half of it with rif’s sandwich. While it was not bad, I preferred the roast beef sandwich simply because it was ‘meatier’ and ‘wetter’. The chicken, although tasty from the dressing, was much too scant. There was a lot more lettuce than chicken, which made me feel as though I was eating a lettuce sandwich. The set comes with a cupcake and a long black. 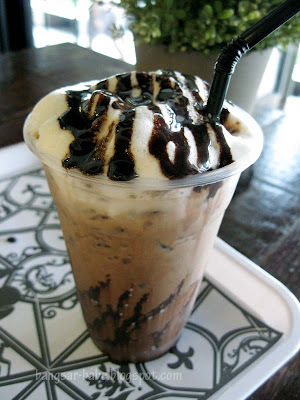 We changed the long blacks to a latte and an iced mocha, for an extra RM1 each. 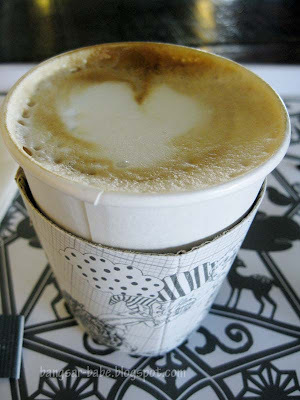 Both the drinks were decent, but I liked the latte better. I forgot to snap a picture of my cupcake, but if you want to see their range of cupcakes, look at my previous post on their cupcakes. I found the sandwiches decent but slightly on the small side. This would be great for small eaters, but not for me. rif too, found the portion a bit small. We both felt hungry by 4pm that day. If not enough then can have another cupcake later, right? no picture for their glamous cup cake? sounds reasonable..with coffee and cupcakess..
see your juicy sandwich pic makes me want to bite on it! I can't believe how much they charge for their tiny cupcakes there!! It's a rip off.. !! oh yeah..havent tried their Red Velvet yet..
ai wei – Yeah, it's quite a good deal considering how expensive a cupcake there is! taufulou – Yup, the set was reasonable, but small la! 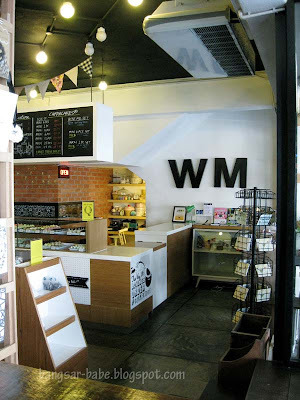 Mynn Chu – Forgot to take a pic of the cupcakes, but you can refer to my previous visit. Plenty of pics there!